We received this photo in our tips box today, which appears to show an iPhone 6-style device with a few significant differences. Redesigned antenna lines, a dual-lens rear-facing camera, and even what appears to be a Smart Connector as seen on the iPad Pro. 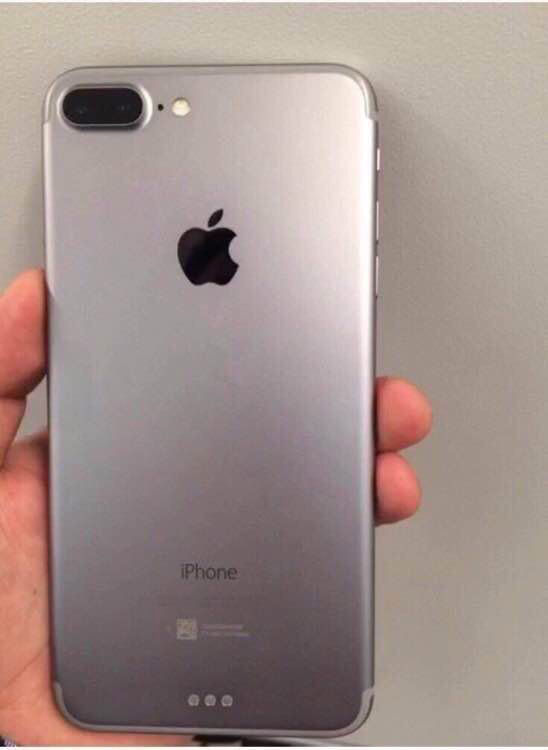 While the tip didn’t claim the image was anything specific, the obvious assumption is that this could be the first look at the next-generation iPhone. The antenna lines mirror images that we saw over the weekend which claimed to be drawings of the next iPhone model, although the camera design is different in this photo. But a twin-camera system has been rumored for at least one model of the next-generation iPhone, although it’s unclear if that would literally look like two lenses side by side or something different. Finally, there’s the presence of three dots on the bottom rear of the casing. These look like the three dots that make up the Smart Connector on the iPad Pro, which connects and powers external accessories like keyboards without requiring batteries or Bluetooth. While this hasn’t been rumored yet, below that it appears that the device in this photo lacks a headphone jack at the bottom, which lines up with our expectations for the next iPhone. So while the verdict is still out (and I’m personally skeptical) about the authenticity of this device as being anything real, it certainly makes for an interesting sight to see considering the rumors and leaks thus far.